HUGE off market 3-family in Brookline with easy access to the T, spacious living areas, and endless potential! 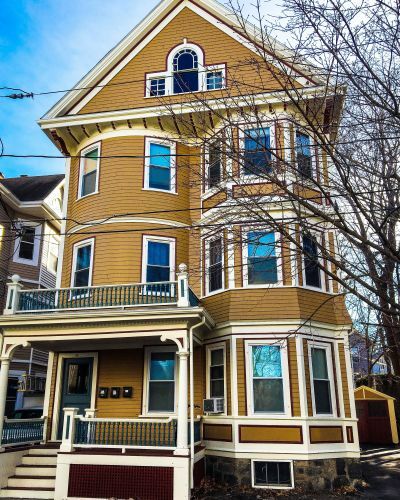 OFF MARKET: Enormous 3-Family in BROOKLINE! NEW LISTING: Off market 2-bedroom condo with deeded parking. Front-facing, located directly on Commonwealth Ave, filled with sunlight. Beautifully renovated! Enjoy stunning views from your private roof deck! Opportunity to add your own touch to this one bedroom condo on Columbus Ave in the South End. SOLD! Under agreement in one week after receiving 7 offers over asking price. Closed 2 weeks later - ALL CASH! SOLD! Studio in Brighton! ALL CASH, 2 Week Close! Studio with Alcove and Parking! On B-Line in Brighton! SOLD OFF MARKET!! Newly renovated 1-bedroom, 1-bathroom condo with deeded parking, available off market! Steps to Prudential Center and some of Boston's most famous destinations! Updated: 22nd April, 2019 3:04 PM.